Have you been seriously burned due to exposure to fire, high-voltage electricity or hot water? Have you been injured in an explosion or other accident? Are you wondering what you will do about your medical bills, your lost wages, and the possibility of permanent scarring and disfigurement? Experience a Burn Injury Due to Someone Else's Negligence? 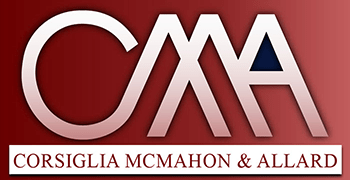 At the law firm of Corsiglia McMahon & Allard, L.L.P. in San Jose, our experienced personal injury trial lawyers represent burn victims throughout Northern California. Contact us today for a free consultation. We will not ask you to pay anything unless our attorneys win your case; call (408) 289-1417. Burn injuries come in different degrees of severity depending on how much damage is done to the epidermis (skin) and other organs such as muscles and bones. No matter what the degree of severity associated with a burn injury, it can have considerable consequences. All types of burns can cause temporary or permanent pain and nerve damage. Third- and fourth-degree burns can cause permanent scarring and hair loss. Fourth-degree burns can cause permanent loss of sensation or even loss of a limb. In order to determine the extent of our clients’ burn injuries and their likely lifetime consequences, the experienced trial lawyers at our firm work with knowledgeable, credible experts in a number of different medical and financial fields. If you have suffered a burn injury in an auto accident, electrical accident or any other type of accident, our attorneys will carefully go over the details of your incident with you and have a preliminary medical evaluation done by our experienced nurse consultant. We will then retain any experts whose services are necessary to develop your case and make a claim for fair compensation from the responsible party. If necessary, we are fully prepared to go to court to pursue the money damages you deserve. Contact us by calling (408) 289-1417 to discuss your options. We serve clients in the San Jose and Bay Area, including Santa Clara, Campbell, Los Gatos and Mountain View.